After nearly six months of football, the Atlanta Falcons will take the field in Houston Sunday night with a plethora of players who have never played in a game with such magnitude. Standing across from the ‘Dirty Birds’ will be the titans of the NFL: The New England Patriots. This is the one team in the NFL that has seemingly solved the algorithm of reaching the Super Bowl on a yearly basis, and the team that is in search of a historic fifth world championship. Dan Quinn in his second season at the helm for Atlanta has carried the city on his shoulders, leading the Falcons to their second Super Bowl in franchise history, and arguably its most crucial. 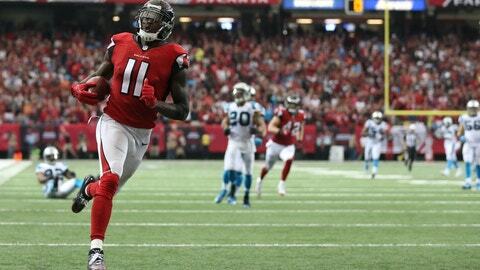 We are talking about the same Atlanta Falcons team that has set the league ablaze with its high flying offense, which ranks first in the NFL averaging 33.8 PPG and 415.8 YPG. Matt Ryan, arguably the MVP of the year will have a chance to set the record straight on him being one of the leagues elite quarterbacks on the games biggest stage Sunday night. The Atlanta Falcons all season long have come out of the gates looking for the first round knock out, and their playoff victories say as much hanging 36 points on the Seattle Seahawks, and dismantling what was a red hot Packers team 44-21, but this is a different kind of animal for the Falcons come Sunday. Tom Brady and Bill Belichick will go down as a legendary combination. Not because they have won the AFC East for eight consecutive seasons, reached the AFC Championship Game six seasons in a row, but because despite the criticism of their success they always shut everyone up. If there is one thing the Atlanta Falcons do not want any part of come Sunday it is an extra motivated Tom Brady, and this is why Matt Ryan and the high powered offense must once again come out of the gate swinging, and this time for the world championship. Super Bowl LI will feature its momentum swings as all games do, but for the Dirty Birds this needs to not only be about reaching this illustrious occasion, but an awakening. The Patriots have the clear advantage of experience when it comes to the Super Bowl, but Matt Ryan and the Falcons have the advantage that Brady and company do not. If the Falcons play their game, and their game only not even on his best day can Tom Brady mirror the kind of team that will be lined up against him. If the Atlanta Falcons walk into Houston and play the game that they have played so dominantly throughout the postseason, not even the New England Patriots will be able to touch this team, but this all hinges on the Falcons getting out to a fast start and popping the Patriots right in the mouth from the get go. We are still talking about the Patriots after all, but if all these things come into fruition for Atlanta, come nights end we won’t be saying “at least we made it to Houston,” but we will be celebrating the first world championship in Peachtree since 1995.